Every customer service interaction is inherently unique, and the circumstances surrounding an average conversation can vary significantly depending upon your industry, the size and culture of your company, and other factors. While most companies have specific policies and procedures in place to account for these variables, several tenets of customer service hold true across every interaction between company and customer. Consistently executing these principles is the baseline for creating a customer experience that rises above the competition. In a world where nearly 90 per cent of leaders believe they are primarily competing on the basis of the customer experience, it’s clear that customer service reps must prioritize these actions before, during, and after every single customer interaction. One of the most important steps you can take prior to interacting with your company’s customers is to complete training courses and take advantage of professional development opportunities offered by your organization. As products evolve and new customer issues come to light, create new training programs to help employees effectively respond to these situations. Learning as much as possible beforehand will help you avoid situations with customers where you are unprepared or uncertain. Customer support can be a difficult function. People generally don’t contact this department when they’re completely satisfied with their experience, which means that customers may have some negative feelings when you come into contact with them. 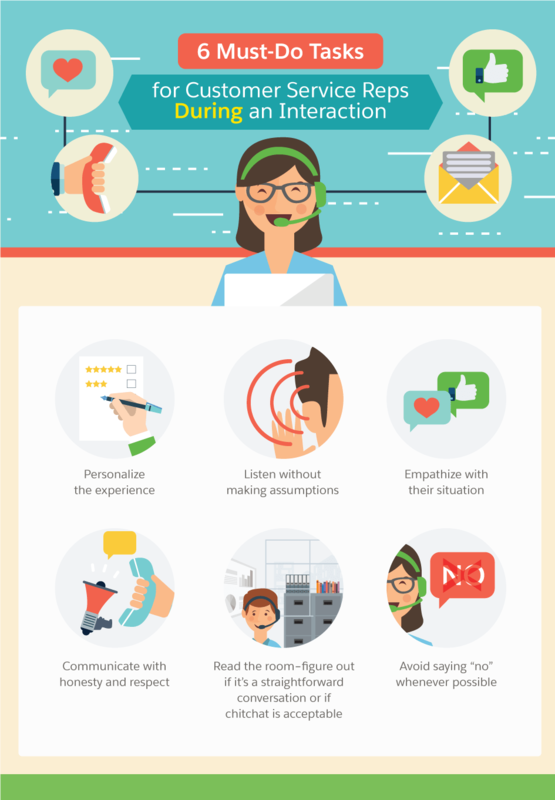 These can range from mild annoyances to outright anger, and indeed everyone who has spent some time in a customer-focused role has experienced a range of these emotions from customers. But even if it’s understandable why these conditions would cause service professionals to approach duties from a place of defensiveness, it’s still something that must be overcome. Train your team to be grateful that your customers are approaching you with their problems, because it means you have the opportunity to add value to their experience by resolving their issues. The concept of service recovery is powerful in your relationship with customers. According to research, anywhere from 54 to 70 per cent of customers are willing to remain loyal to your brand if their complaints are resolved satisfactorily, depending upon the initial cost of the product or service in question. The final task that must be accomplished before any interaction is to prepare. This includes learning anything you can that will make the actual call go more smoothly. If you are expecting a scheduled call from a particular customer, replying to a message, or returning a call, take the time to access all relevant customer data via your CRM and other sources before you contact them. You can review the details of their situation and reduce delays throughout the interaction. Of course, this isn’t always possible when customers are initiating first contact, but at the very least you can ensure you are logged into any software programs you will need so that you can be ready to proceed. The benefits of personalizing the experience for your customer throughout their relationship with your company are too important to ignore. Personalization works in marketing and sales, and it works in customer service as well. There are several ways to apply personalization techniques to service interactions, ranging from very simple to more complex. For instance, addressing the customer by name throughout the process is something that should be done every time, but service reps can also use the customer’s history (which should be recorded, in detail, in your CRM) to offer personalized solutions and suggestions. 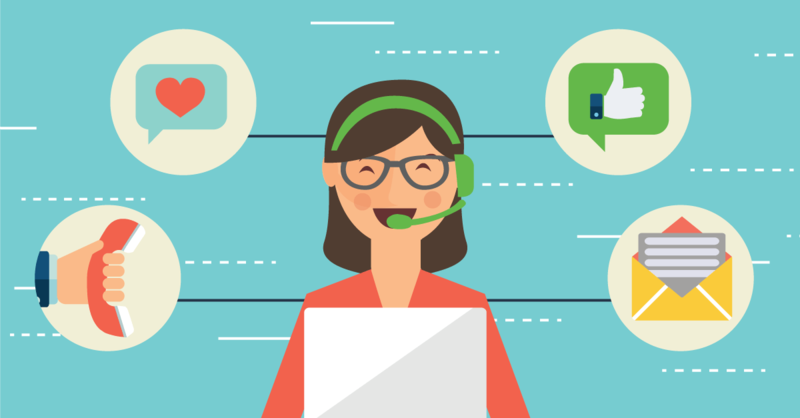 After spending any decent amount of time helping customers resolve issues, customer service reps may start to feel like they have heard the same calls over and over again. While many customers are going to contact you regarding similar issues, the danger of this mindset is that it leads you to assume that you understand their problems and how they feel about it. Instead of making assumptions, actively listen and let the customer tell you how you can best help them. Once they explain their problems and you analyze what is going on, rephrase the problem to them to make sure there is no confusion. If there is a single quality that is a necessity in order to succeed in customer service, it’s the ability to genuinely empathize with others. It can’t be convincingly faked, and it is a skill that can be taught. It starts with treating each customer as a unique individual rather than part of a data set. As long as you recognize that their issues and feelings are unique to them, and you are honestly interested in helping them resolve an issue, then empathy will guide the tenor of your entire interaction. It’s easy to respond respectfully and professionally when a conversation is going smoothly, but when tensions arise on one end, the other party has a tendency to react defensively. Customer service reps must be able to resist the urge to react in a defensive manner even when a customer communicates aggressively. Deescalating tension is a requirement for keeping things professional, and it’s also crucial to always respond honestly no matter how strained the customer is during the interaction. Some customers are happy to talk about the weather or the results of the big game for several minutes before they get to their problems. Some would like to get straight to the point and avoid small talk. Others may start off the conversation in a guarded manner, but respond more openly after being affected by your enthusiasm and proficiency. The point is that being a customer service representative is a bit like being a therapist, and you have to read responses in the moment and analyze how you can best engage with them and exceed their expectations. Instead of focusing on what you aren’t able to accomplish, steer the conversation back to what you can do for them. Find ways that you can say “yes.” This is the key to creating exceptional experiences they will remember. Consider, for a moment, the power and responsibility that you have as customer service rep in the immediate moments after an interaction. You are the one person who knows what actions need to be taken in order to deliver on the service promise, and the company’s ability to execute on these actions is largely dependent upon you. Upon ending communication, your first objective with a customer should be to notify your colleagues of what they need to do. At some point, someone—either you or a colleague at the organization—is likely going to come into contact with the customer again. The notes you record from this interaction could be the key for them to provide an exceptional level of service and continue to “wow” the customer in the future. The longer you wait to record your notes in the CRM system, the fuzzier the details will become in your memory. Treat this as a time-sensitive and integral task. The best customer service professionals understand that once the initial service interaction is completed, their responsibilities are just beginning. These representatives happily bear the weight of the customer’s satisfaction on their shoulders, going the extra mile to ensure that the company will live up to their promises. They will frequently reach out to representatives in other departments to check the status of customer requests. They will relish being the primary point-of-contact for a customer, and will actively hold everyone involved, including themselves, responsible for deadlines. Additionally, these customer service reps will also respond to customers by the time they agreed upon, even if it is only to let them know that an investigation is still in progress. One quality that sets highly effective customer service reps apart from the pack is a desire to learn from their experiences and constantly improve. They also understand that customer feedback is a crucial component in this effort, and they welcome all genuine praise and constructive criticism with an open mind. 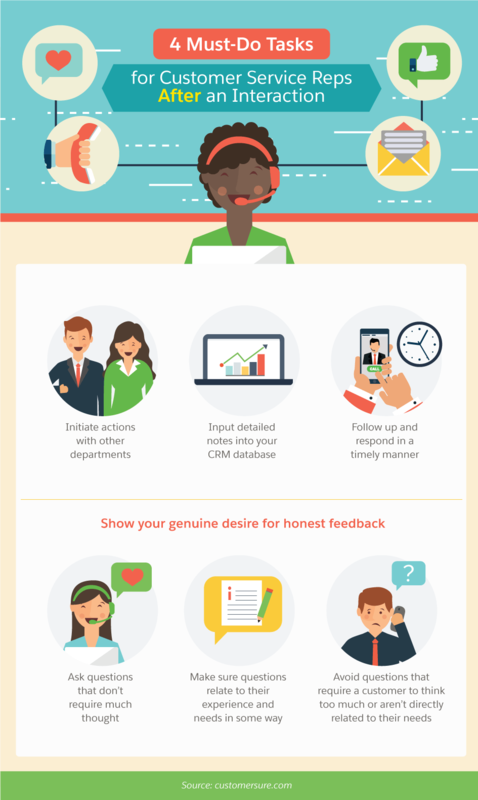 Many companies have a policy mandating their customer service reps to solicit feedback after an interaction. But the key to getting the customer to recognize the urgency is to not treat it as a company policy. Instead, representatives should convey to the customer a personal desire for feedback, both because they are dedicated to delivering an exceptional experience, as well as for their own edification.